12-mannabandet THAT DRIVING BEAT bjuder på en soulkonsert av rang denna afton! Earthquaking, Mindshaking & Heartaching Garage, Freakbeat & Northern Soul Stompers and Spinners! 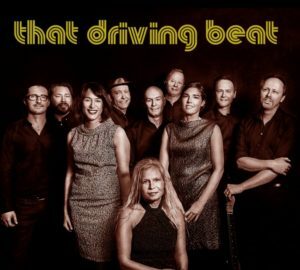 That Driving Beat is a 12-piece Northern Soul band from Stockholm, Sweden. With the focus set exclusively on rare, unusual, unknown, underrated, abandoned or forgotten soul tracks from the mid 1960s and early 1970s, this band probably has the most interesting repertoar among current Scandinavian soul bands. Well, at least we’d like to think so ourselves. Northern Soul is all about rare, low-budget recordings of soul music, primarily from the second half of the 1960s. It’s about a never-ending curiosity for those completely unknown bands and artists who got the chance to do perhaps only one recording, never to be heard of again. It’s about badly pressed vinyl, small editions from obscure and often short-lived ghetto labels from tough and gritty cities like Detroit, Chicago, and Philadelphia, whose records rarely made it out of the local community. Northern Soul is not a soul genre per se, but rather an attitude, a compass for what is the most genuine and innermost of soul music – regardless of recording quality or commercial viability. In recent years, British Northern Soul DJs and collectors of old 45s have done a tremendous cultural deed on the internet (primarily on YouTube), making their collections of abandoned, forgotten and severely underrated soul tracks available for everyone. That Driving Beat’s major driving force is to convey some of this modern musical treasure, which for most people remains completely unknown. 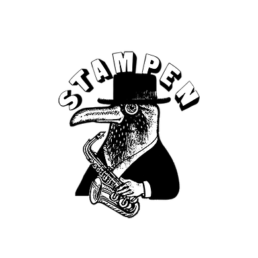 Besides typical Northern Soul, the repertoire consists also of songs from adjacent, relatively anonymous genres from the same time period, such as blue-eyed soul, garage fuzz, and mod/freakbeat. Whatever the exact genre – uptempo, rattling and that driving beat is the band’s main passion as well as intention! The name of the band, That Driving Beat, has been borrowed from the title of one of the amazing songs of musician, song writer and producer Willie Mitchell (1928–2010). Vi öppnar kl 17.00. Show runt 20.00. Välkomna!